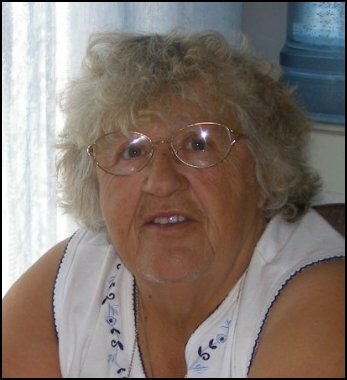 On April 12th 2011 Anette passed away peacefully at the West Coast General Hospital in Port Alberni with family by her side. Anette was predeceased by her first husband Doug Hemsworth, her second husband Edward Parisian, her seven sisters, Emma Court (Jack), Eleanor LaFontaine (Art), Lucille DesMuelles (Remi), Rose Patton(Hugh), Yvonne Fothergill (Albert), Adeline Ayers (Max), Agnes Chaychuk (Maurice); three brothers Phil (Lorna), Robert (Nancy), Colin (Jeannette) Roberge; her mother and father Philias and Eglantina Roberge. Anette is survived by her two brothers Sidney(Verna), and Maurice (Dorothy) Roberge; her four boys Murray, Fred, Rory, and Kelly Hemsworth. Anette had twelve grandchildren and eighteen great grandchildren.